Welcome to Busy Kids Happy Mom! Thanks for stopping by to learn about Life Skills for Children ages 2-18. Discover the Life Skills your child needs to be successful in life. Whether it’s teaching your children how to dress themselves everyday or learning how to swim, these are the essential list of life skills. 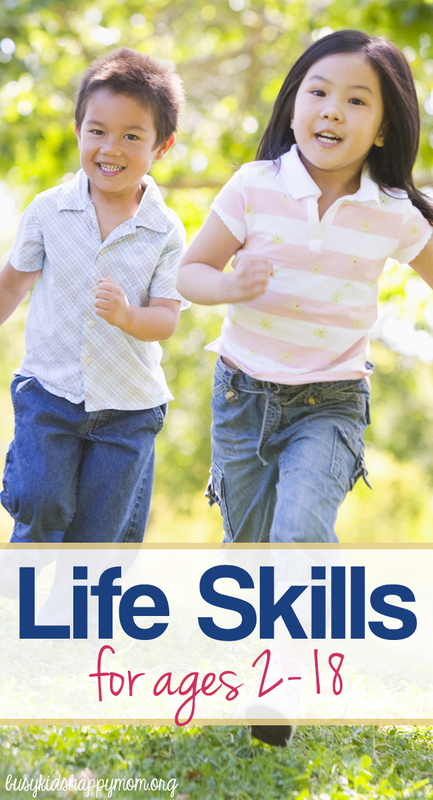 Subscribe and get the FREE Printable List of Life Skills for Kids: >>>>>>EMAIL (click here). I promise to never spam you. 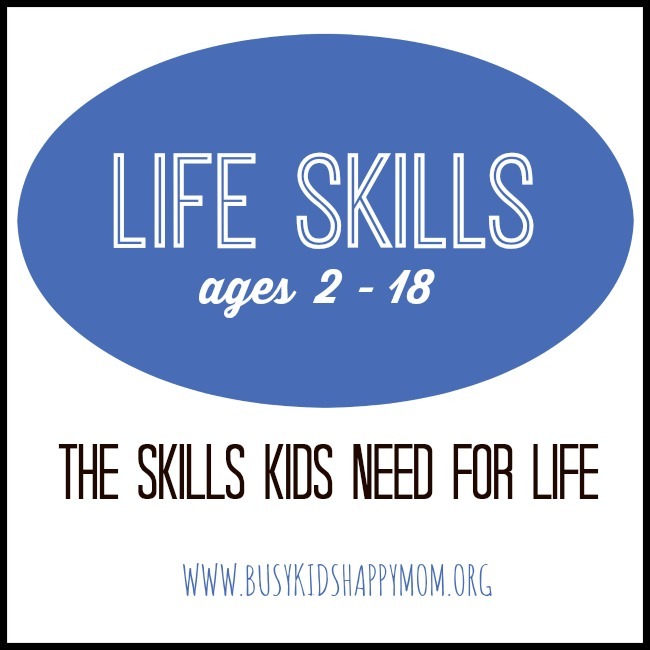 This is the largest, most comprehensive list of life skills for kids for ages 2-18. Life Skills are the tools your child needs to succeed in life… The skills they don’t teach you in school. Do teachers teach some of these skills? Of course! As a mom, I just found that I needed a guide. I needed someone to tell me that my children could use a hand held vacuum or sort their own clothes. Please note that all skills should be taught under adult supervision. Many take months, if not years to master. Do not assume that your child has failed if they are behind. Children learn best by working alongside you. This list was compiled after consulting many resources and other moms. I am not able to do everything on this life skills list nor do I expect my children to! I do feel; however, that helping to prepare your child for life with some basic skills will make them a more independent, productive adult. I far more enjoy teaching my children when they’re young and interested! Want to jump right to the examples of LIFE SKILL you need?